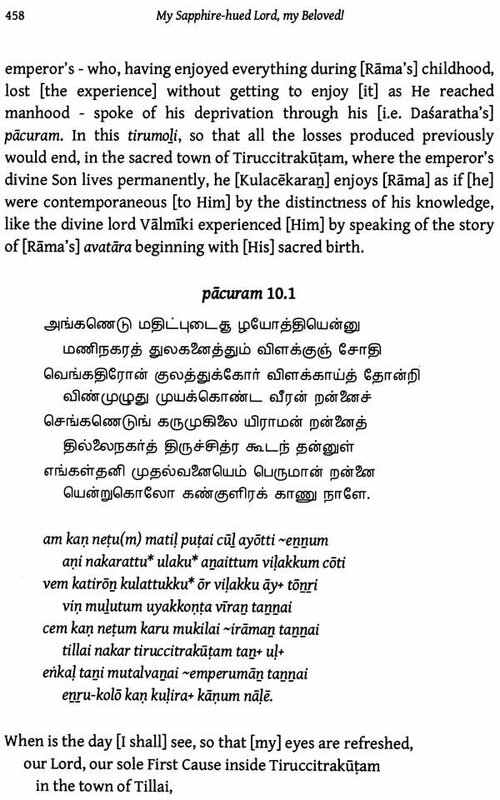 This book is a complete annotated translation of a ninth-century Tamil bhakti poetic work known as the Perumal Tirumoli, by Kulacekara Alvar, as well as of its medieval Srivaisnava commentary in Sanskrit-Tamil Manipravalam by Periyavaccan Pillai (thirteenth century). 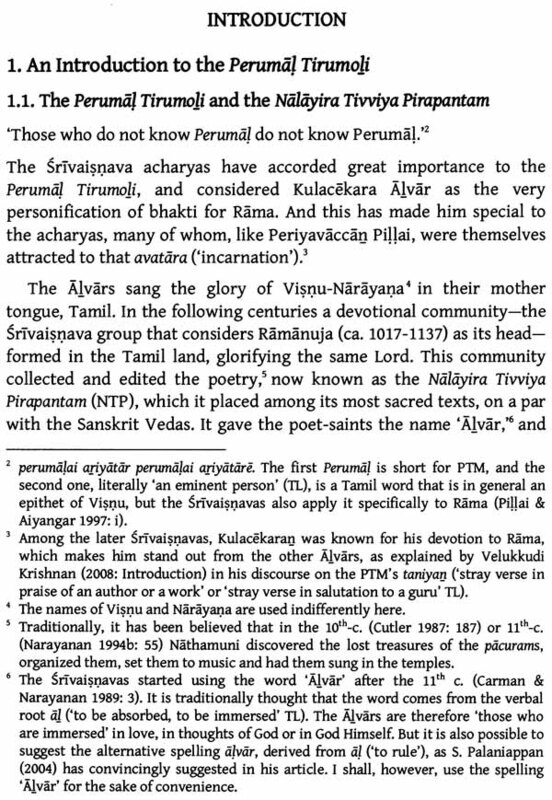 The Perumal Tirumoli is now part of the Tamil Srivaisnava canon called the Nalayira tivviya pirapantam (Nalayira Divya- prabandham, or 'The Four Thousand Divine Compositions'), and is composed of ten decades dedicated to different forms of Visnu. This book also includes an introduction, which seeks to find out who Kulacekara Alvar really was, given his mysterious - and often disputed - identity. Suganya Anandakichenin, a "professeur agrege" in English, did her PhD in Indology at Hamburg University, focusing on Tamil Vaisnava bhakti poetry, especially on Kulacekara Alvar's. Since 2014, she has worked as a research scholar in the Vaisnava group of the NETamil project, based at the EFEO in Pondicherry, specialising further in both Tamil bhakti poetry and medieval Srivaisnava Manipravalam writings, especially commentary literature. Not all Tamil bhakti poets have been given the same amount of attention by modern scholarship, the Saiva Nayanmars having perhaps received more notice than their Vaisnava counterparts, referred to as the Alvars (6th - 9th c.). 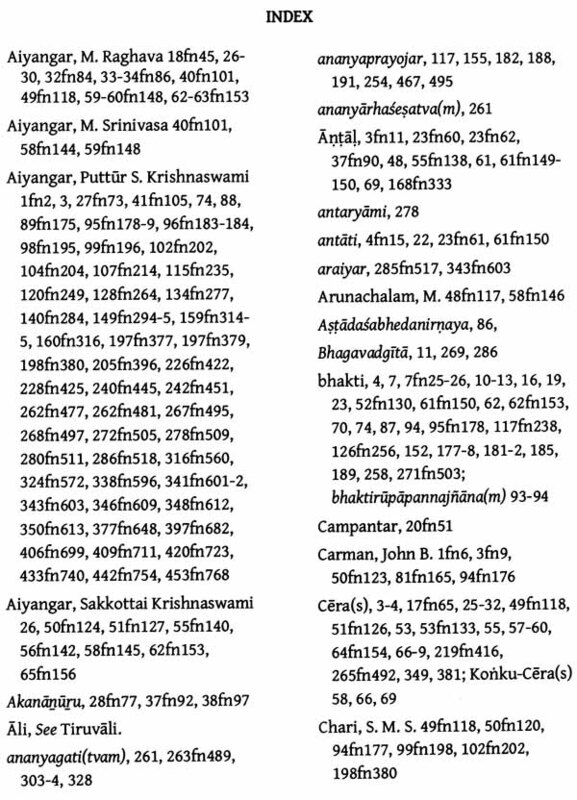 Scholars such as Kamil Zvelebil (1973: 185) for example, while discussing the history of the Tamil literature, do not say much on the Vaisnava corpus, although their works include a whole chapter on bhakti literature. That being said, the last few decades have seen a surge of interest in the works of the Alvars among scholars but, again, it would seem that not all the Alvars were created equal. 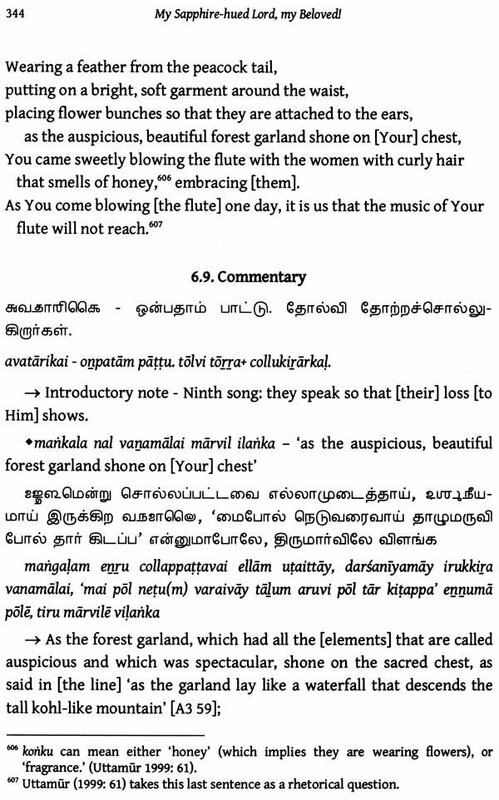 Nammalvar's works, for example, have been much more studied than any other Alvar's. 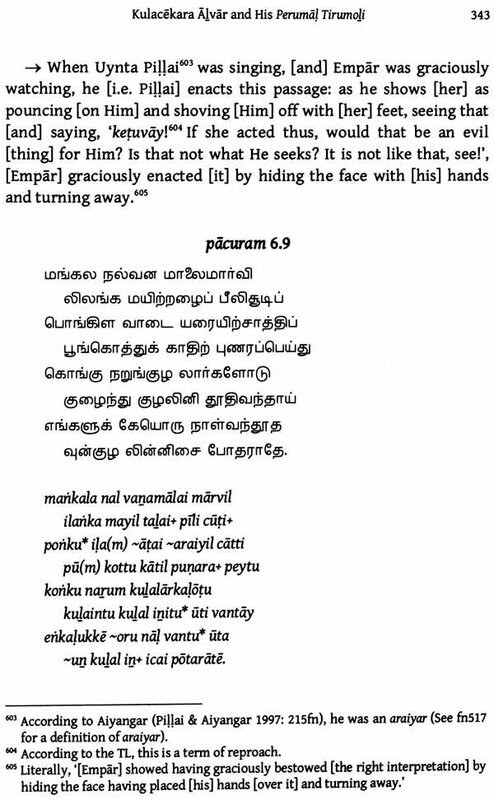 We can mention here Ramanujan's translation of pacurams ('sacred verse') from the Tiruvaymoli in Hymns for the Drowning (2005 ), Vasudha Narayanan's The Vernacular Veda (1994a) or Archana Venkatesan's translation of the Tiruviruttam, A Hundred Measures of Time (2014). 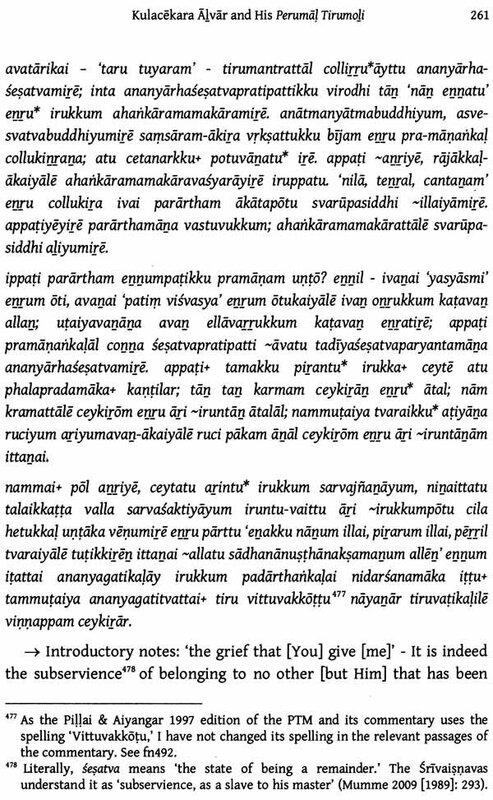 Not that the others have been entirely ignored: Antal has received some attention as well, with Jean Filliozat's Un Texte tamoul de devotion Vishnouite: Le Tiruppavai d'Antal (1972), Vidya Dehejia's Antal and her Path of Love: Poems of a Woman Saint from South India (1992) and Venkatesan's The Secret Garland: Tiruppavai and Nacciyar Tirumoli (2010). 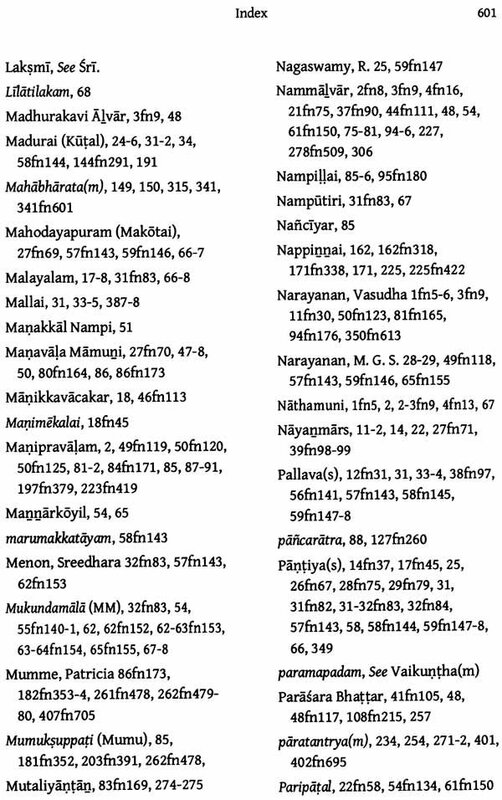 As we can see, even though scholars, both traditional and modern, have not entirely neglected Kulacekaran, it is undeniable that Nammalvar holds their central attention. 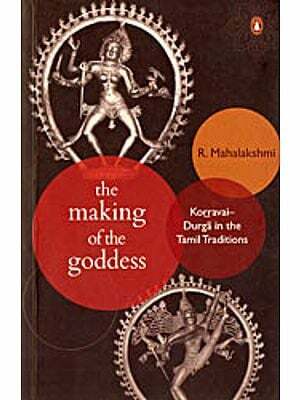 By and large then, Kulacekaran does not seem to have received significant scholarly attention, which is why this book has been written. 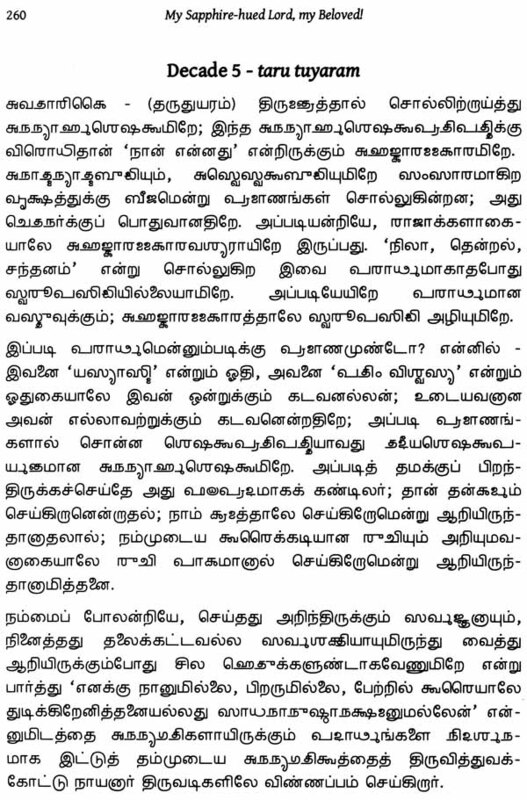 In addition, Kulacekaran's is a rather mysterious and oft-debated identity. Therefore, I wished to bring together in one place as much material referring to him (traditional, literary, historical) as it was possible for me to gather, and try to understand who he really was. What I thought would take merely a few pages has in fact grown into a long introduction in which I shall attempt to answer questions like: who was Kulacekaran? Was it indeed he who wrote the PTM? What is currently known about him? What do traditional and modern scholars have to say about him? Do they agree on his identity? In what way do the different historical and geographical backgrounds of scholars influence their opinions on his origins? 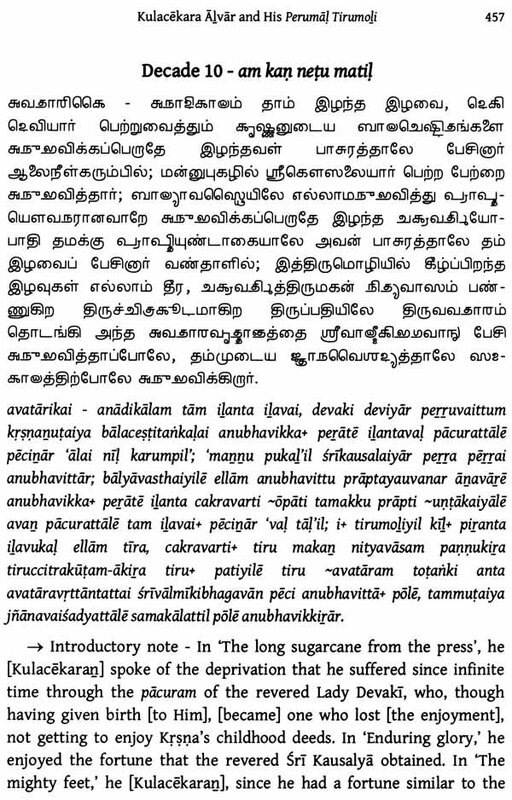 The main part of the book is a complete translation of the PTM, with the pacurams given in the Tamil script, their transliteration and an annotated translation, as well as comments providing further information on some points. 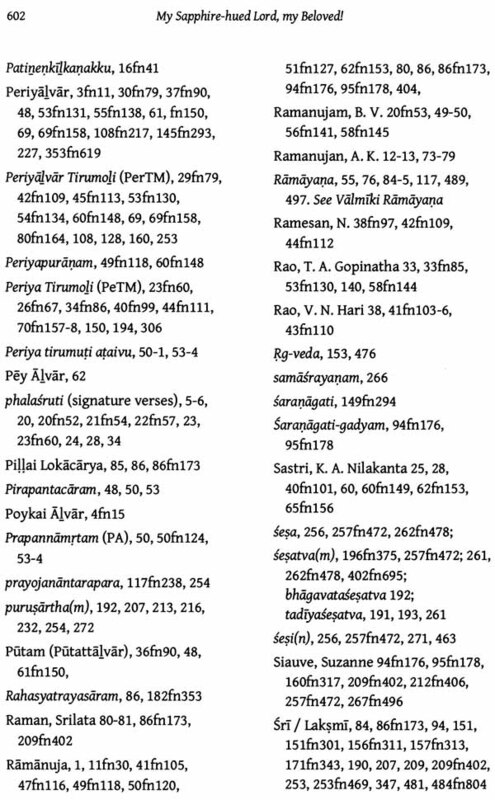 Every pacuram is accompanied by the complete translation of the medieval commentary, which Periyavaccan Pillai wrote using a highly Sanskritized register of Tamil, known as Manipravalam, This translation is one of the first of its kind to be published since, to my knowledge, no medieval commentary on the whole corpus of an Alvar (and of this size) has been entirely translated. 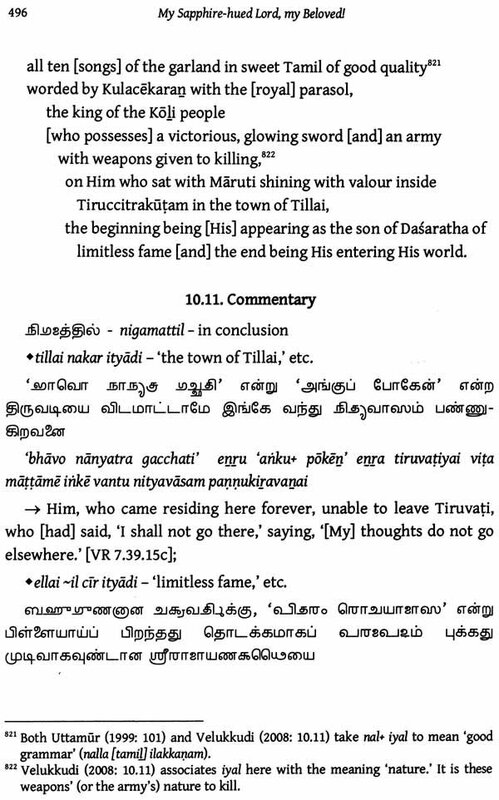 The introduction, however, does not deal with the commentary, which 'A note on the translation of the Srivaisnava commentaries on the NTP' does. 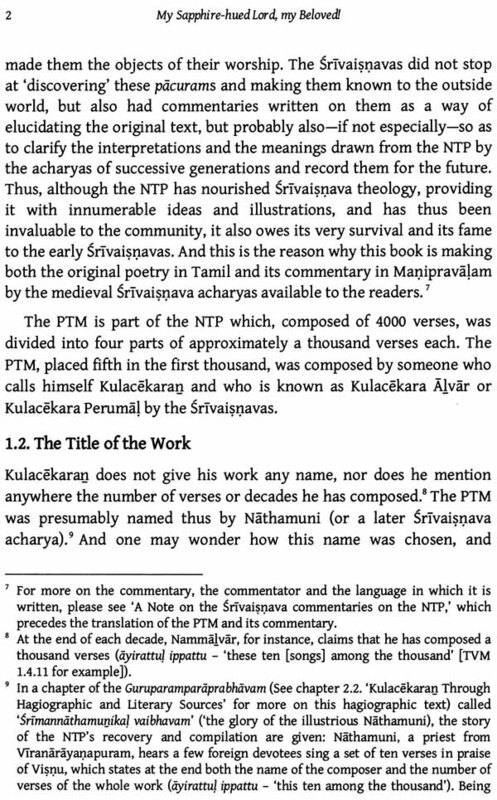 While the commentary, unlike the PTM, is not the focus of the book, it does offer us occasion to reflect upon the relationship between the PTM and the later Srivaisnavas, and how they made use of and circulated it. 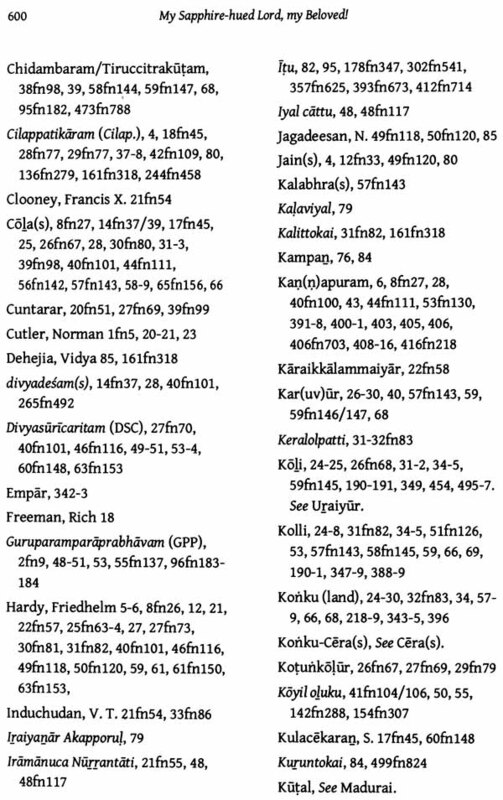 The glossary that accompanies the translation of the PTM is given in the appendix.